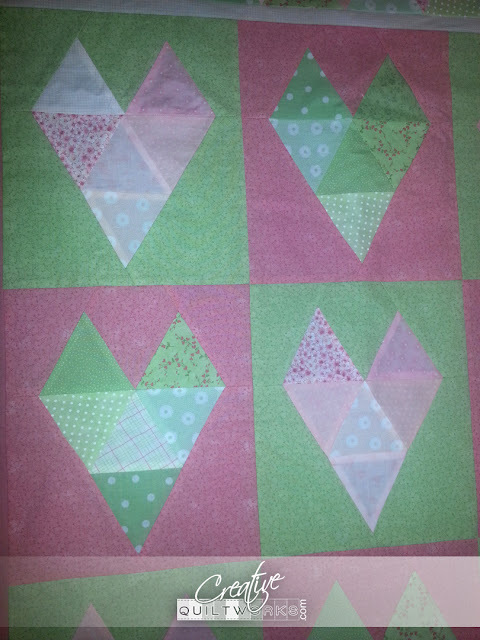 Cindy designed these blocks and I just finished piecing them for the "Heart And Soul" quilt. I love how the print in the fabric is highlighted by this fun geometrical design. I discovered that the piecing on these blocks must be done carefully because two of the edges are bias edges and they stretch!